A good friend with a bad father was, as a young man, sent by his church to a local Christian counseling center to get help controlling his anger. But instead of addressing what he could do about his anger, the counselor had my friend talk again and again about how bad his father was. There might have been some need for the counselor to get a basic understanding of my friend's history, but there was no need for the counselor to encourage him to repeatedly rehash the sins of his father. This was a violation of the fifth commandment and something that simply should not have been part of any Christian counseling. 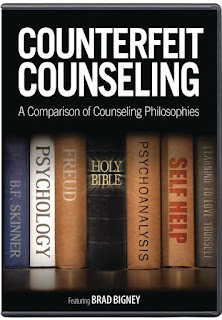 But as Bard Bigney explains in this DVD lecture, most of what goes by the name of Christian counseling is nothing but secular psychology baptized with a few Bible verses. Many years ago, after planting a church, Bigney was overwhelmed by the number of people who needed help with their problems. So he went looking for a good counseling center he could partner with. I went to the YellowPages.... picked out a dozen or 15 Christian counseling ministries.... And I made myself a list of good questions..... "What is your understanding of man's condition, from birth?" You would be shocked at what Christian counselors were saying! Why? Because they've been trained more in psychology and Freud and Maslow and Skinner than God's Word.... And they would say, "basically good." I'd say, "Basically good? That's not what the Bible says!" Bigney realized that these counselors' understanding of what Man is really like, their understanding of who is responsible for our problems, and of how our problems can be solved, were all based on secular assumptions that have nothing in common with God's Word. So Bigney wants the Church to take up the challenge of counseling, and to do it despite, any feelings of inadequacy we might have. When you talk about counseling it just freaks people out. They think "Well, I'm no counselor." If you are a believer, you are a counselor! The Wonderful Counselor lives in you.... God's Word calls us to go and make disciples. Biblical counseling is nothing more than intense discipleship. If the word "counseling" freaks you out, drop it. Just use "discipleship." What is their anthropology? What is their view of Man? How is the problem defined? Is blame ever placed on the counselee, or is most often assigned to some outside force? How is the problem solved? Is it something the counselee has to do? Do they have to take responsibility? How do I know when we're done? What does change look like? 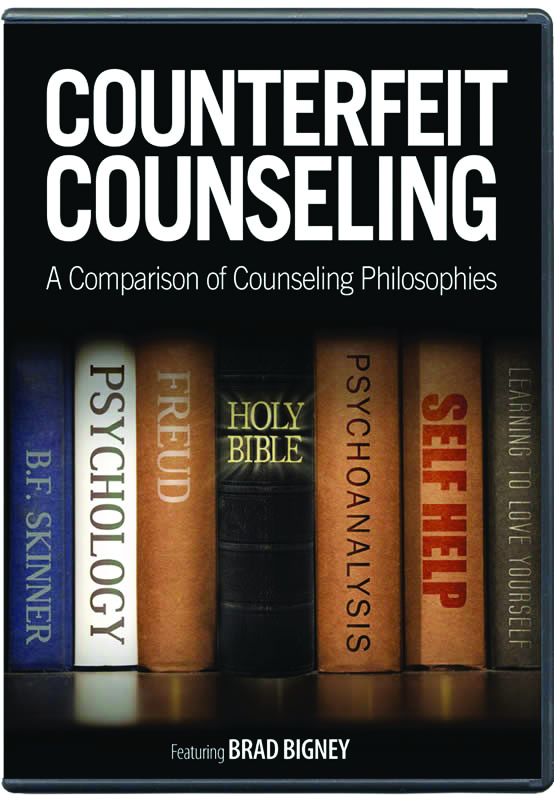 Other resources can equip you to the task of counseling, but this DVD makes clear how pressing the need is for us to take up this task. At just an hour long it is a quick-paced, engaging and very challenging presentation that I would recommend to every adult Christian, and particularly elders and ministers. 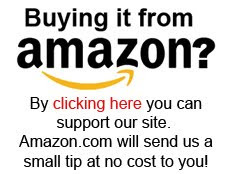 It is available at Christianbook.com, or can be downloaded at AnswersInGenesis.org.